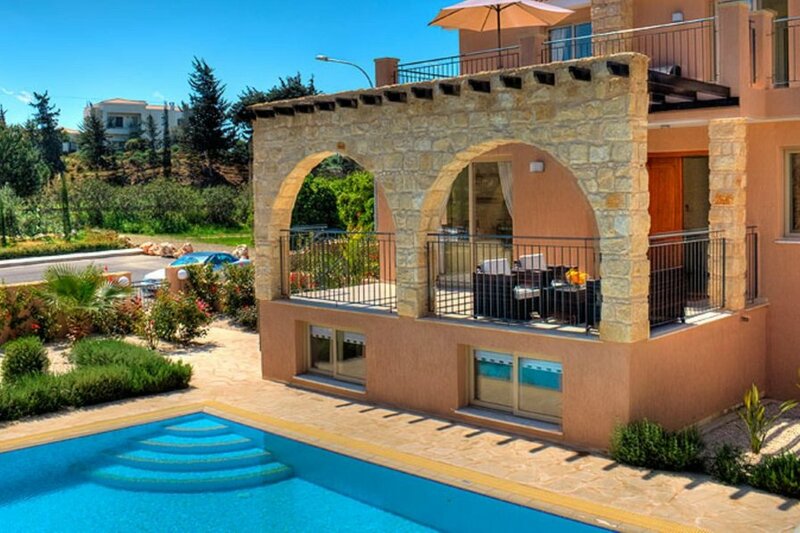 Private Sandy Beach - Gated Development - 24 Hour Security - This beautiful luxury villa is situated within its stunning landscaped gardens and has a 6 Person Heated Jacuzzi, a beautiful 10m x 5m Heated infinity pool offers the ultimate in bathing, relaxation and fun for the family. Pool Table, Football Table, Table Tennis, Air Hockey Table, Wifi Internet, 50" Plasma TV & Central Heating. For the cooler winter months, Central Heating is available on request and subject to an additional charge. Pool Heating costs will vary depending on the time of year and will range from £25 - £40 per day - Minimum 7 nights. This beautiful luxury villa is situated within its stunning landscaped gardens and has a 6 Person Heated Jacuzzi, a beautiful 10m x 5m infinity pool offers the ultimate in bathing, relaxation and fun for the family. There is ample parking including an underground garage. Marble flooring throughout the villa. An internal staircase leads to the ground floor with a bright and airy lounge, fully equipped luxury Italian kitchen with granite worktops, dining area, double bedroom and marble bathroom. Patio doors lead from the lounge to a large terrace, with pergola and feature stone arches which beautifully frames the view to the gardens, pool and sea. Stairs lead down from here to the pool terraces and gardens. On the first floor there's another large marble bathroom with Jacuzzi bath and shower and two double bedrooms with ample fitted storage areas. The real treat is the extended balcony which can be accessed from both bedrooms and covers the entire width of the villa. It has a table and 6 chairs, large umbrella, sun beds and a gas BBQ. From here you can enjoy views to the crystal clear turquoise sea. Argaka has a sandy beach with clear warm sea. Views of the sunset over the Akamas Peninsula are outstanding. The tavernas are welcoming and very good value and there are two small supermarkets. About 2 minutes drive from the villa lies the small town of Polis with its attractive main square where it is a pleasure to linger with a cool drink and enjoy the relaxed atmosphere. The town offers many restaurants, bars and cafes as well as a bank, post office, pharmacy, hairdresser and many interesting shops. Just a few kilometres further west is the small town of Latchi with its attractive harbour and well known restaurants serving a wide choice of food including many varieties of freshly caught fish. There is a water sports centre and boat hire. Refundable breakages deposit of £300 required on arrival, to be refunded on your departure (subject to satisfactory property inspection). *Please contact me for any queries you may have regarding any additional services you require. The Latchi Tourist resort is only a 10 minute drive from the property and boasts a multitude of shops, restaurants, bar and night clubs.